As many as 58 members from 16 states are set to retire in April-May 2018, the biennial elections, which will be held on March 23, is being held to fill the seats for these members. The Bharatiya Janata Party on Sunday released a list of 18 candidates for the forthcoming biennial elections to the Rajya Sabha. Prominent among them are former Maharashtra chief minister Narayan Rane, BJP general secretaries Anil Jain and Saroj Pandey and party spokespersons Anil Baluni and G V L Narasimha Rao. 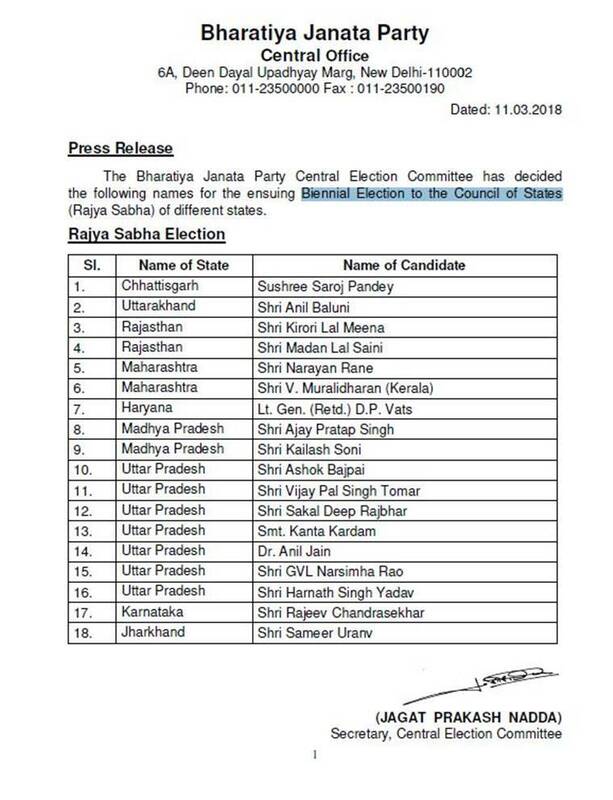 The Congress party too released its list of candidates for the Rajya Sabha elections. 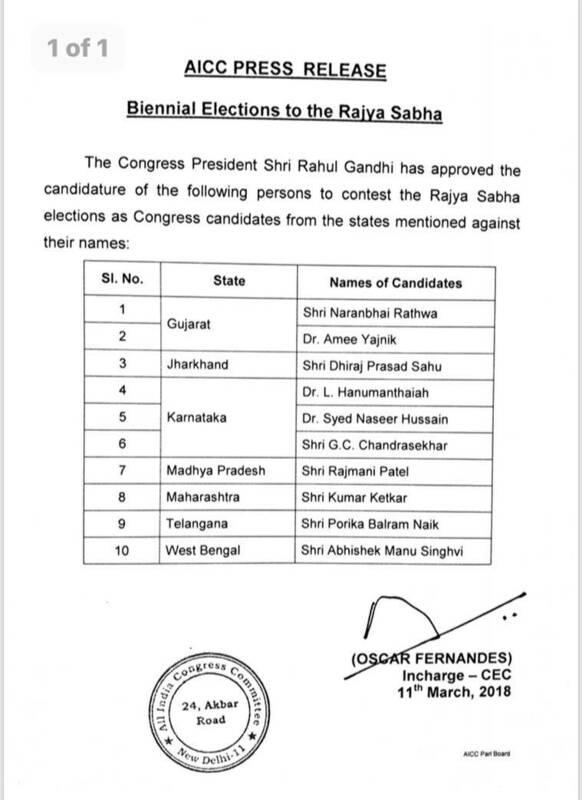 The list, which has been approved by Congress president Rahul Gandhi has names of 10 candidates from seven states. The name of Finance Minister Arun Jaitley, besides a number of other Union ministers had figured in the first list of candidates announced on March 7.